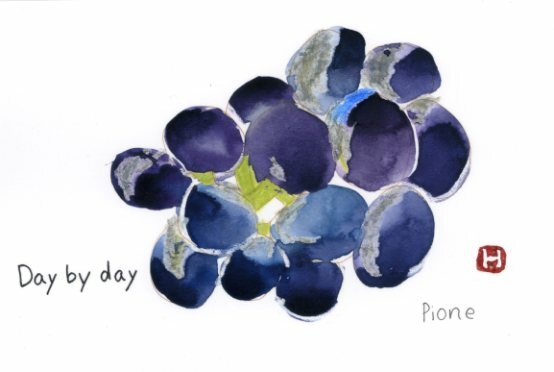 A grape “Pione” from Okayama prefecture. It was full of water. These beautiful fruits gave the brilliance on the table.